English professor Sandra Sherman serves up tastes of the past and reveals 18th century British sentiment toward the French in her most recent book. 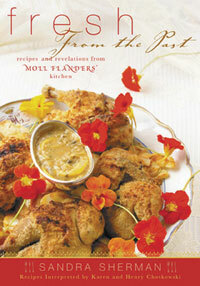 “Fresh from the Past: Recipes and Revelations from Moll Flanders’ Kitchen” is a cultural history of 18th century food. It includes 120 recipes from original sources, updated for modern cooks. During her research, Sherman learned how British politics affected food preparation during the battle with the French. Sherman said 18th century British cookbooks tended to attack the French as being extravagant, but they also used French recipes with new names that looked English. The British prided themselves on eating a “strong He-man diet,” while the French ate little tiny pieces of meat chopped up in ragouts. The British even put out tracts criticizing the French and their foods, saying British food was better for British physiology. The researcher also was amazed at how highly developed greenhouse technology had become by the mid-18th century. Greenhouse technology, developed after 1740, provided the British with pineapples, melons and oranges throughout the year. “Fresh from the Past” includes photos of 18th century porcelain and silver, as well as prints from the period. The book will be used by food history societies, as well as a model for 18th century dinners hosted by academic societies and restaurants.